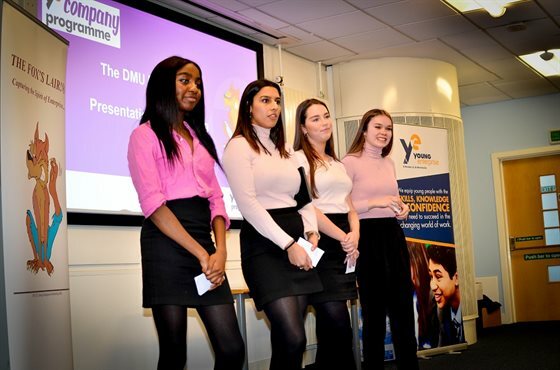 Enterprising pupils from secondary schools across the area confidently pitched business ideas to a panel of experts at De Montfort University Leicester (DMU). Fox’s Lair, which mimics the hit television series Dragons’ Den, saw eight teams of youngsters promote their businesses which, between them, are producing an impressive range of products. From bespoke framed pictures and an enterprise marketing young artists’ work, to a pamper box containing sanitary products for girls, all the teams impressed the panellists. Event organiser Andrew Nicholson, programme leader for Enterprise at DMU, said: “It was a very good standard today. They were really exciting teams with lots of good ideas. Taboo was the name of a team from Loughborough High School who have produced a period pamper box called ‘Blush.’ which not only contains a range of sanitary products for girls but also items such as hot chocolate drinks sachets, face mask packs and an advice booklet. Team member Libby Ireton, 16, said: “We really enjoyed looking around the campus. This was my first time looking at a university and it was great. Loughborough Amherst School pupils Martha Waterfall, William Higgins, Katie Harris and Hattie Martin gained praise for their bespoke handmade frames business Geo (Gifts for Every Occasion). They reported already having earned a total turnover of £400, making a 75 per cent profit on each of their range of coloured frames which feature bespoke designs using personalised buttons. 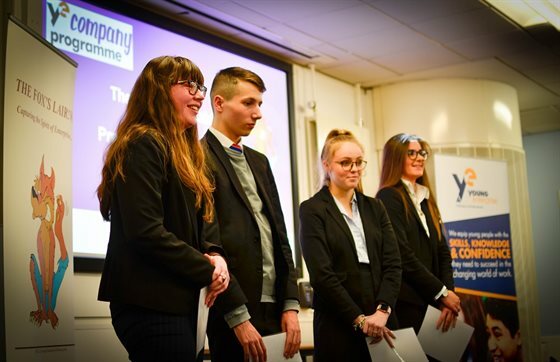 The Fox’s Lair panel will now decide on a winner and send constructive feedback to each of the teams to help them improve their presentation skills and business ideas as they look towards entering the Leicestershire round of the Young Enterprise Company contest. Catherine McCann, technical director at Dunelm and one of the Fox’s Lair members, told the pupils: “It takes some guts to stand up and talk to us all like you have. 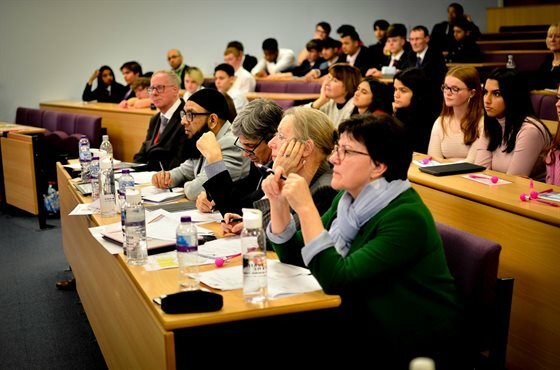 The rest of the panel included DMU, Enterprise lecturer Marian Evans, Deputy Dean of Business and Law Christos Kalantaridis, placement co-ordinator Zul Muhammad and Tracey Lee-Adams, director of faculty operations in Business and Law. Fox’s Lair is a well-established part of a range of degree courses run by the Business School at DMU and this is the second year in which Mr Nicholson has organised a similar event for visiting secondary school pupils.